One of our most high profile researchers comes to University Hospitals Birmingham NHS Foundation Trust (UHB) via Milan, Tokyo, Rome, London, Cambridge, Germany and Canada, and brings with her a vast international reputation, being at the very top of her field. 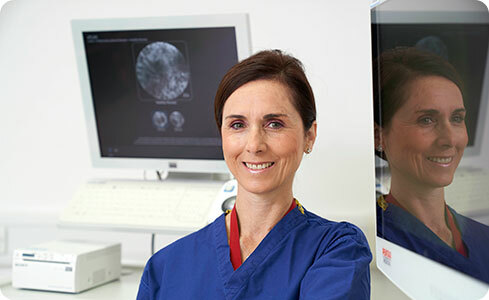 Professor Marietta Iacucci is an Honorary Consultant Gastroenterologist at UHB, as well as an Academic Lead in Gastroenterology and a Reader in Gastroenterology at the University of Birmingham. Currently, UHB is only the second place in the world to trial a new endocytoscope, which was launched and built in Japan just last November. Prof Iacucci is using the endocytoscope for research into inflammatory bowel disease and colon cancer. With the help of the Patient and Public Involvement (PPI) teams, 40 patients are being recruited locally to take part in a new multi-centre, international study.